Moving my clients from FOG to CLARITY. Period. Dolores Hirschmann, ACC, CPCC is an internationally recognized strategist, coach, speaker, TEDxOrganizer and author. She has over 20 years experience in helping clients realize their potential through clarifying their vision, message and market to design the strategies and roadmaps needed to succeed. Utilizing her extensive background in strategic planning, pitch and message design, marketing and communications, executive coaching, event planning and speaker coaching– Dolores founded doloreshirschmann.com, a Strategy & Coaching Firm where she and her team work with CEOs, Startup Founders, Authors, Thought Leaders, Speakers and IDEAPRENEURS™ by guiding them through the Clarity of vision, message and market and developing the strategies and initiatives needed for their next level of growth. Dolores is member of the International Coach Federation (ICF) and has earned her CPCC credentials from CTI (The Coaches Institute). She holds a Business Degree from the Universidad de San Andres, Buenos Aires, Argentina. Dolores leads Mastermind Groups, Workshops and Speaks Internationally about the behind-the-scenes aspect of reaching your goals. Through both Private Coaching and her 5 STEPS TO CLARITY PROGRAM, Dolores helps her clients set the foundation from where they will design their strategies. As a Speaker Coach and TEDxOrganizer, she brings the TED Speaker model to all levels of communication in business. Through her program 18 Minutes of Impact: Moving Your Audience to Action the TED Way, Dolores helps her clients infuse a bigger story, a bigger vision into sales presentations, VC investment pitches, and overall B2B marketing communications, clients achieve a higher level of engagement and resonance with their audiences. Her first novel New Beginnings is available on Amazon. Her next book, 18 Minutes of Impact− Moving Your Audience to Action the TED Way is coming out in the Spring of 2016. Dolores also writes for different publications including Creativ Magazine. Dolores has developed and delivered workshops and keynotes including Leadership: an Inside Job, From ME to WE, Designing Value Driven Teams and 18 Minutes of Impact: Moving Your Audience to Action the TED Way. She speaks and volunteers at incubators, leadership organizations and private companies around the world. She is a judge and mentor for Startup weekend. 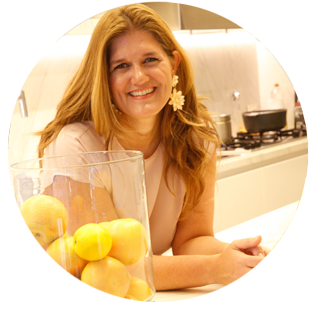 Dolores speaks and works in both English and Spanish with clients around the world. Originally from Buenos Aires, Argentina, she lives in Massachusetts with her husband and four children. WHERE ARE YOU GOING?The first step I take in any of my programs is understand where you are going. Wether you are looking to develop and launch a new product, design a talk or a message to promote your company, your book, your services or simply redseign your brand, the first step is to get REALLY CLEAR on what are the results you want. Doing for the sake of doing is like setting off on a car ride without a GPS… you will be moving, but you will not likely get to your destination. Understanding who is up the ladder from you (who do you look up to)? Would you like to experience CLARITY? WHAT IS THE BEST WAY TO GET THERE?Your growth is dependent upon many things that need to happen in your business. But where do you start? One of the things I am really good at is outlining a roadmap for action. If you were driving, the first step is understanding where you want to go (CLARITY); once that happens, then you need to figure out what is the best way to get there. That’s our strategy. Ready to experience similar results? LET’s GO.Once we have CLARITY and a ROADMAP we need to start moving. This part of the work is critical to begin seeing results. This is when we test our assumptions, test our determination, our courage and our capacity to execute. During this phase we create the accountabilty systems and processes you need to reach your goals. Your destiation.